If one thing is for sure, striped swimsuits are in. Jess Ann Kirby is looking beach ready in her colorful suit. My favorite part? Her effortless pony tied back with a silk scarf. Don’t be scared to wear bold pops of color this season. Madison of Minimal Major is wearing a hot-hued set perfect for a summer day around town. 3. Florals for every season. It’s perfectly acceptable to carry your spring florals into the next season. Pastels will forever be a staple in my own closet, and Jenny of Margo & Me makes these colors seem evergreen. I’m thinking that stripes should be summer’s official print. 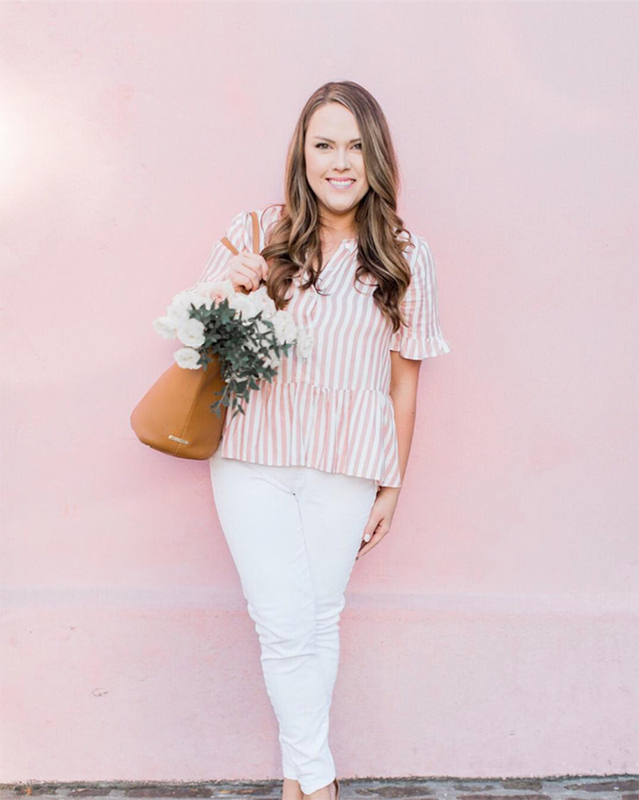 Keri of Always Yours Events looks adorable in her pink striped top and white denim, another piece you can find on repeat in my closet. 5. Make every day a getaway. If you can’t go on vacation, you might as well dress like you are. Mackenzie Horan is ready for tropical paradise with her straw accessories and simple (and totally chic) linen dress. 6. Dress up in a button down. Shirt dresses are an effortless way to stay cool and trendy this summer. 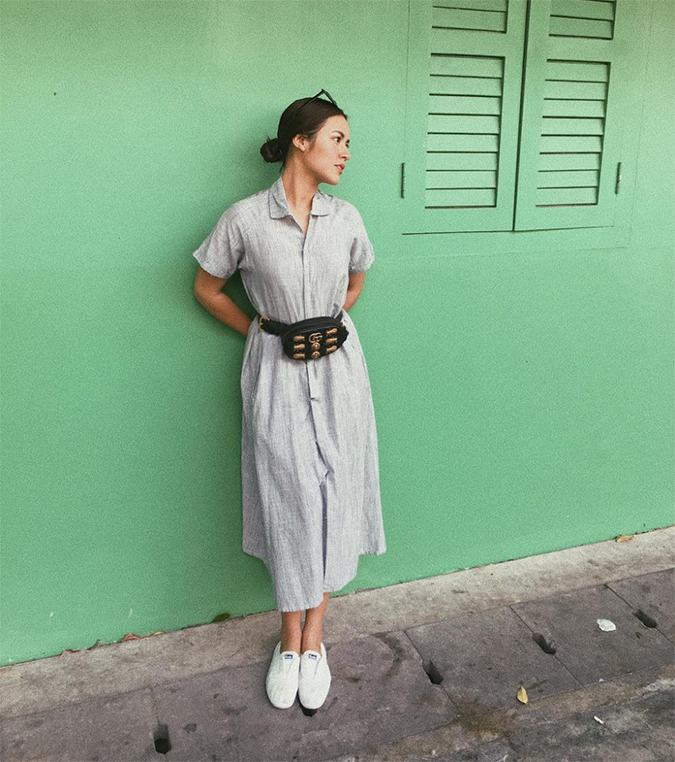 Raisa accessorized her cute and comfy dress with functional white sneakers and a statement belt bag. 7. Put a little peplum in your step. White tank tops are anything but boring. If you’re taking a tip from Tayler Malott, you’ll notice that her peplum top has adorable tie details that add just enough interest. You can’t go wrong with dark washed denim and a chunky heel either. Every woman should have a wrap dress in her fashion arsenal. 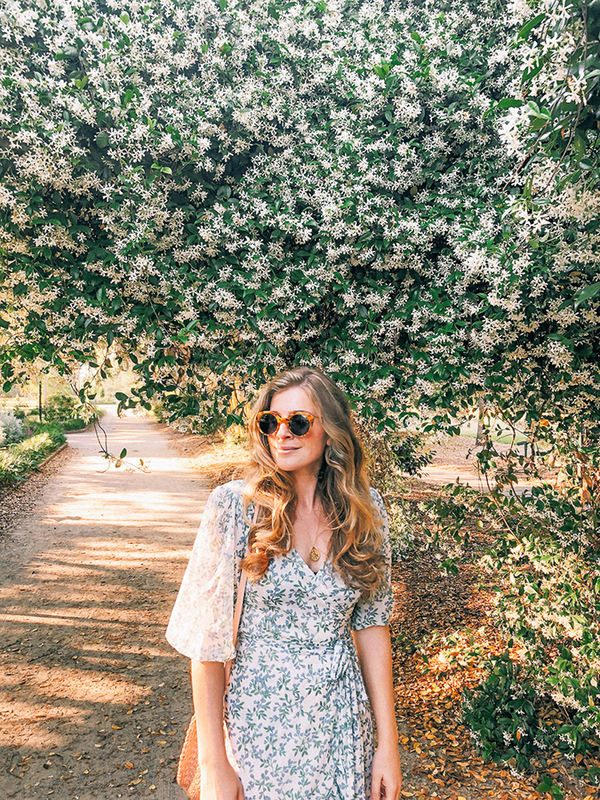 Lucy Cuneo is a summer dream in her floral number. I can’t decide which item I love on Jessica Crum more, her handbag or her striped romper. Either way, the two pieces were made for one another. The next time you step out in a summer ensemble, consider a look like this. 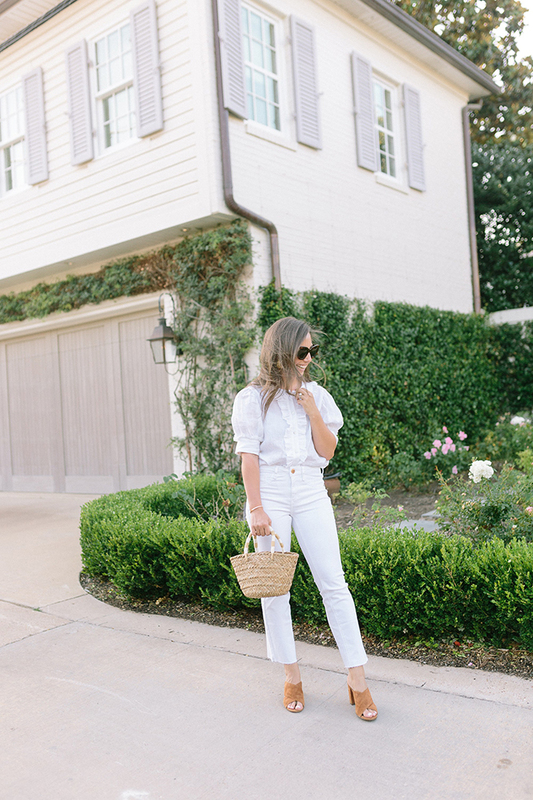 Summer whites should be celebrated. Ali of A Dash of Details keeps her monochromatic outfit interesting with a mini handbag and chunky heels. These picks should hold you over until next month’s festive Style Tips! After all, 4th of July is right around the corner! What trends are you most excited for this month?